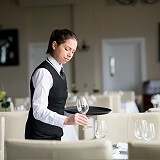 At Brend Hotels, we employ over 1200 staff at our eleven hotels and our various restaurants. Our guests often tell us it is our friendly and attentive staff that make Brend Hotels really stand out from the crowd, providing a quality of customer service that is amongst the very best in the tourism industry. We are very proud of our wonderful staff and we do all we can to develop them. We can train someone how to carry out certain tasks, but nobody can change a person's essential personality. So it is important to us that we recruit people who have a friendly approach, a 'can do' attitude and a genuine passion for excellence. If you have these natural qualities and would like to work for Brend Hotels, we would like to hear from you. We aim to be the leading luxury hotel group in Devon and Cornwall for decades ahead and our continued success depends on our luxury hotels being staffed by talented people who share our vision. Do you have what it takes to become an apprentice with the South West’s leading hotel group? Brend Hotels are offering an exclusive opportunity to young people aged 16-24 to join our team as an apprentice and receive training & qualifications of the highest standard in the hospitality sector. Our training academy provides paid apprenticeships to young people who are keen to pursue a career in the hospitality industry, so that they can earn an income while also acquiring valuable new skills. They have the opportunity to learn their trade, and also gain accredited qualifications, all under the close guidance of our managers. 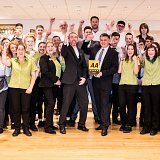 We are seeking our next Food and Beverage Apprentice to join the team and gain a professional Level 2 Hospitality Team Member qualification. We are looking for our next Commis Chef Apprentice to join the team and gain a professional Level 2 Commis Chef qualification.